After a musical tour de force of three albums in two years, John Foxx’s latest project comes to a logical head with a collection of live in the studio tracks as a souvenir of their own extensive tour and companion to their support slot with OMD on the UK leg of their English Electric Tour. 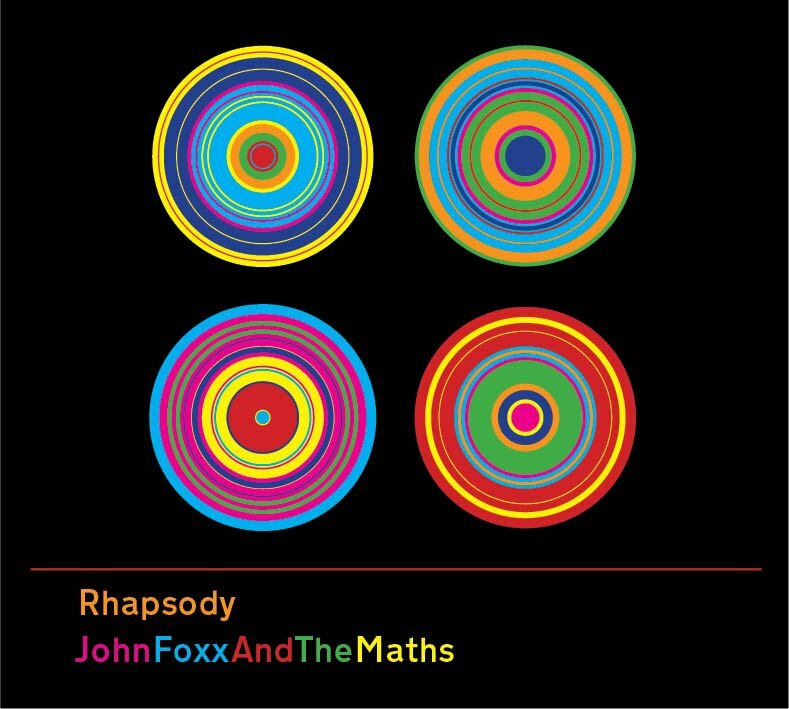 Rhapsody is what it says on the packet: “10 tracks recorded live at MemeTune studios at the end of 2011.” and brings together Foxx and his companions Benge (keyboards/percussion), Hannah Peel (Keyboards, Violin) and Serafina Steer (Keyboards, Bass). The track listing is pretty much representative of a longer Maths live stage-set rightly showcasing the new material, some Foxx solo songs and a couple of pre-split Ultravox tracks. No surprises with the former as The Good Shadow is re-purposed as an instrumental intro with Shatterproof, The Running Man, The Shadow Of His Former Self and Catwalk all pretty much note for note what we’ve heard on Maths’ studio albums proper. Perhaps the moving Interplay is the one that takes the biscuit with Foxx’s vocals and indeed the instruments seeming somehow warmer than the studio original, itself one of the best moments of the combo’s debut album. Foxx’s Metamatic era solo tracks He’s A Liquid and Burning Car are given new life with the Maths set-up and although they have been revisited by the maestro in his previous collaboration with Louis Gordon, here on Rhapsody they really do sound as if they were being played on an imaginary 1980 Metamatic tour, had the technology – and the willpower – been available back then. And last but certainly not least both Hiroshima Mon Amour and Just For A Moment from Foxx’s days with his first group proper give this particular collection of family silverware a final shine. Overall an excellent representation of what Captain Foxx can still achieve given the right team at the right time. In the live set-up keyboards are still very much to the fore of course, although Benge’s Simmons pads give each track a tad more oomph (perhaps too much on ‘Hiroshima’) and violin and bass are used sparingly and wisely by Hannah and Serafina respectively. The inclusion of said instruments bizarrely takes us into a parallel universe where Ultravox(!) never did split. Apparently there’s more of the same in the can, so look out for Rhapsody II (it won’t be called that), although next time can we have more Foxx solo tracks please?